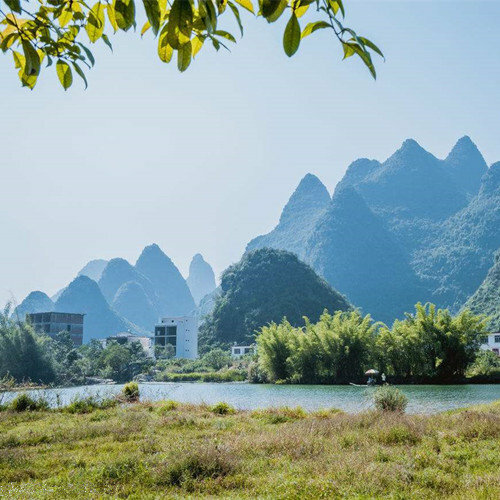 Standing 8 kilometers from the Yangshuo County, the Moon Hill(月亮山) is a short distance from the Fenglou Village(凤楼村), the Gaotian Town(高田乡) in the Yangshuo Area. It is a huge slice of rock with a round hole in its center, and you walk 800 steps on a marble paved mountain path to reach it. At various angles it resembles from the new moon to a full moon. The rock measures 380 m (height) by 410 m (length) by 220 m (width). 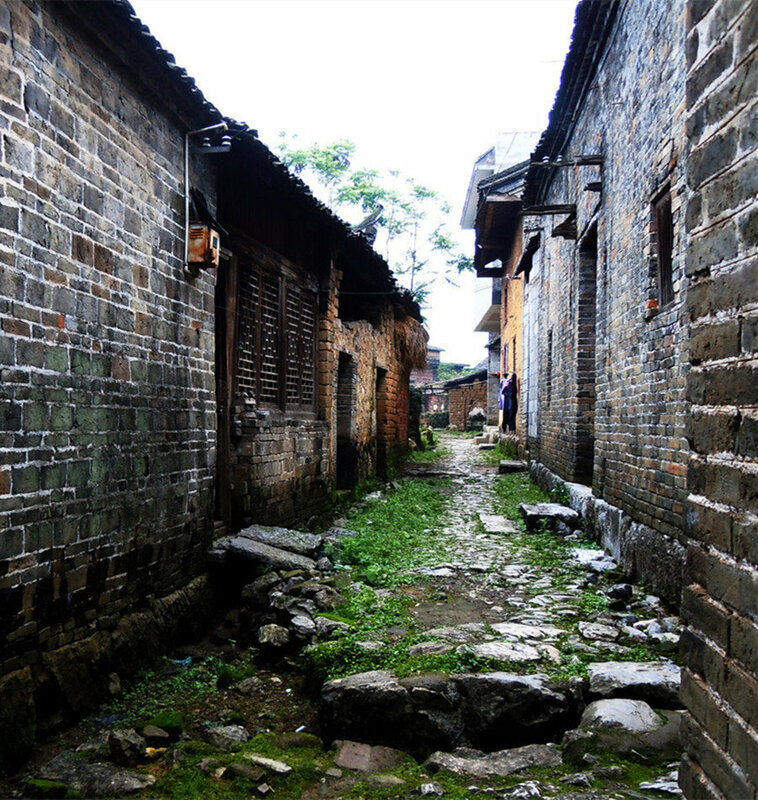 Legend has it that there is a Guanghan Palace (广寒宫) on the moon inhabited by the beauty Chang’e(嫦娥), the Jade Rabbit (玉兔), and Wu Gang(吴刚), the woodcutter. People in old days thought they saw these immortals when they came upon spots on the moon’s surface. 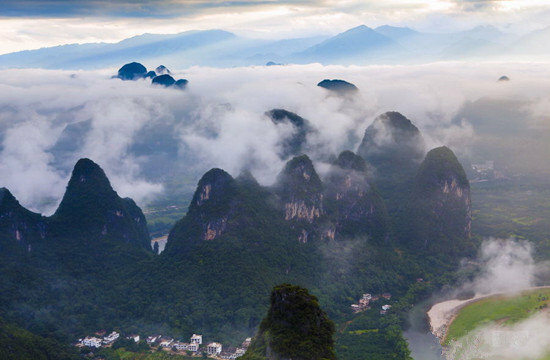 Visitors to the Moon Hill call to each other’s attention that there are nature formed rock images of Chang’e, the Jade Rabbit and Wu Gang the woodcutter. 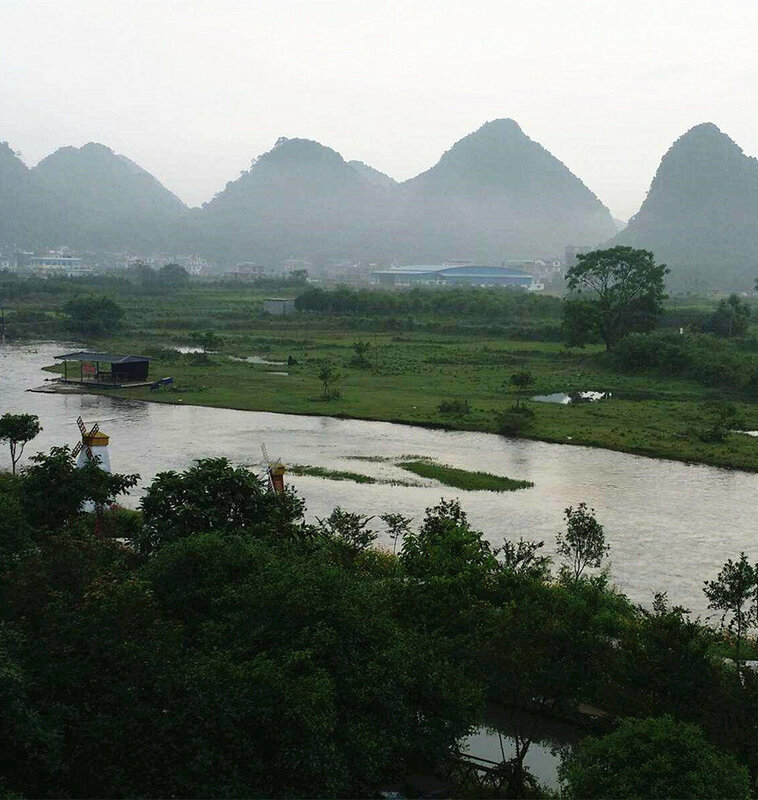 With 14 rock-climbing routes on the northwest side, the Moon Hill offers sufficient challenge to both amateur and professional climbers. 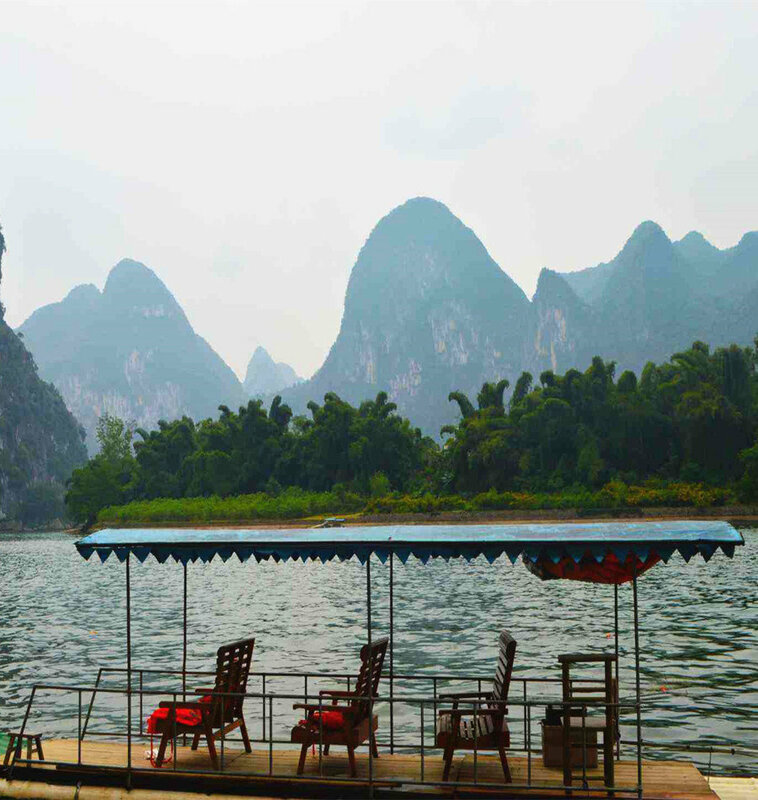 The region around the Moon Hill is endowed with beautiful sight. Many mountain rocks are in particular shapes which bring visitors infinite reverie. 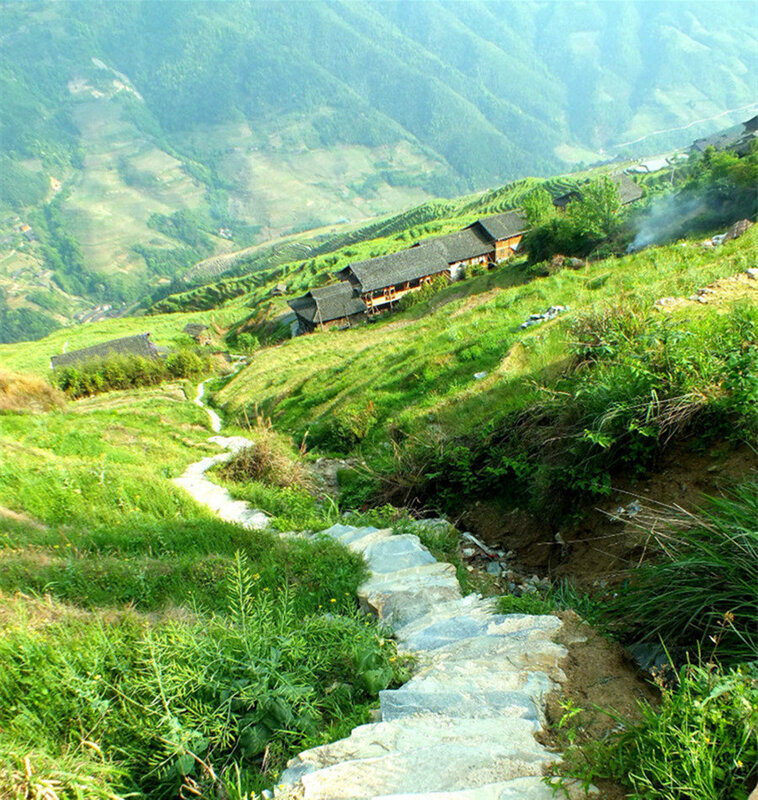 Locals call this picturesque scenic sight the “Shili Hualang”(十里画廊). The beautiful land attracted the former US President Carter to have a visit. Having heard the interesting scenery along the “Shili Hualang”, he hired a bicycle to roam the land instead of taking a car. The area is included in an official plan for tourism development. In 1995, the local government built a bicycle path for visitors to freely enjoy the natural scenery along the path. The major scenic sights along the path are given vivid names according to their shapes, such as the Flaming Mountain (火焰山), the Heavenly Horse Galloping in the Sky (天马行空), the Golden Cat Comes Out of the Hole (金猫出洞), the Emperor Qin Shihuang Goes to the Front (秦皇出征) and the Beauty Makes Up (美女梳妆).